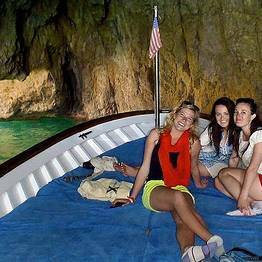 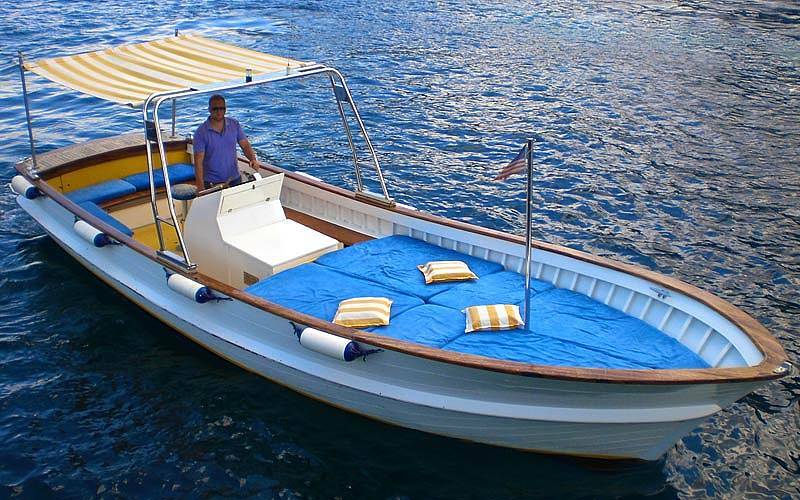 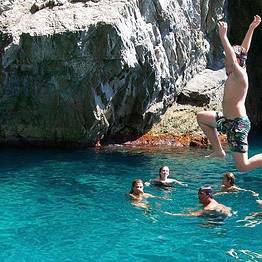 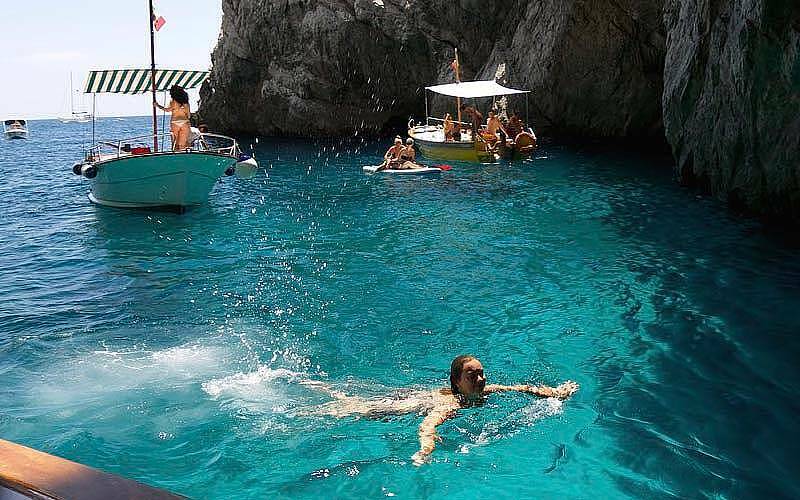 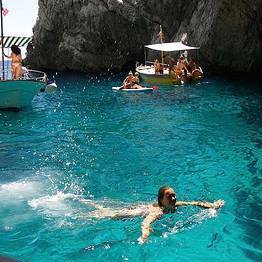 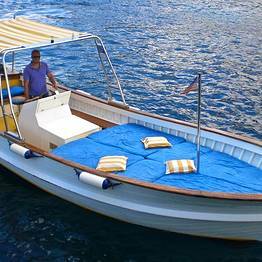 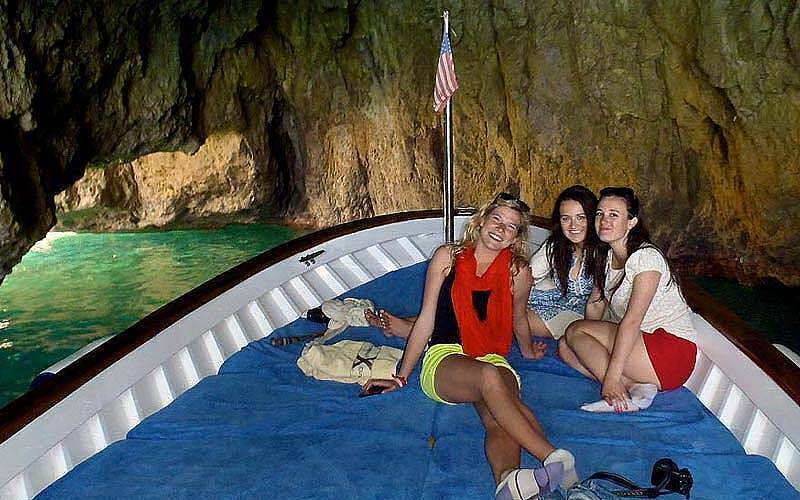 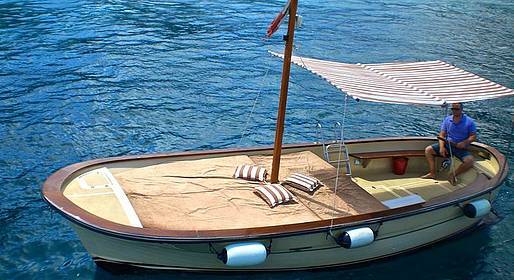 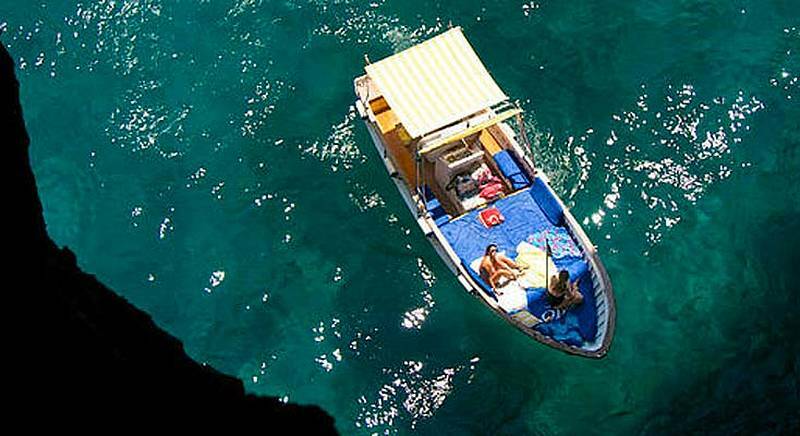 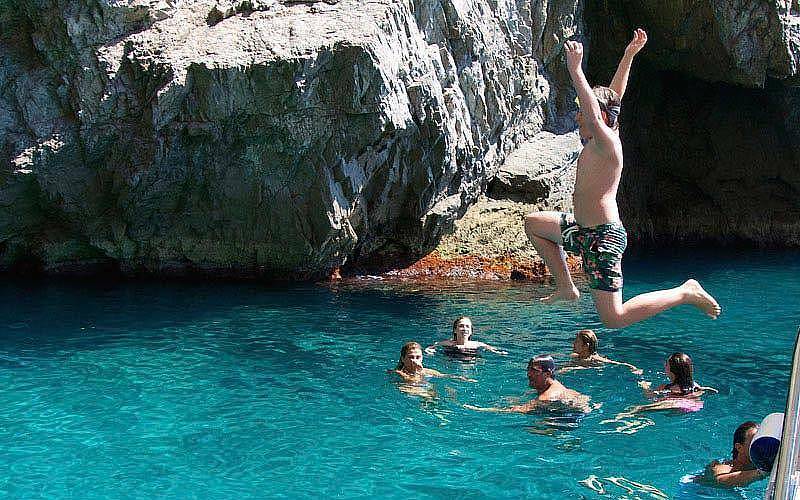 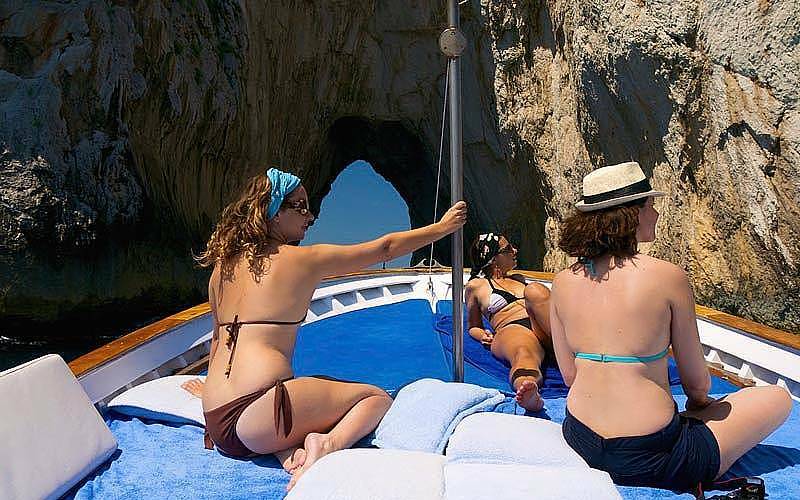 Don't miss our special winter offer and enjoy a boat tour of 2,20 hours around the island of Capri: set sail on board of a traditional 7.5 meter "gozzo" boat, with a large cushioned sundeck. 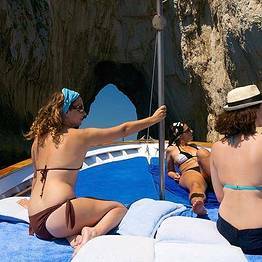 The meeting point before departure is Bar Aprea in Marina Grande, next to the funicular entrance. 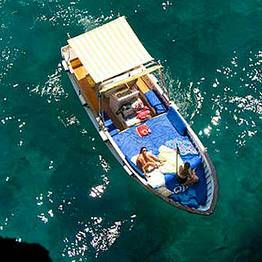 The service is guaranteed up to 30 minutes after the time requested at the time of booking.